Mark has 25+ years professional experience working in the community as a Facilitator | Community Educator , Project Officer and Community Worker across a variety of sectors including Government (Federal and State) and community based organisations in South Australia including remote and regional communities. Mark is an experienced professional who is able to listen to and respond to the community at many levels. Mark is actively involved in a number of community organisations, as Chair and committee member. Mark has a high level of understanding of the cultural sensitivities and appropriate protocols used when negotiating and facilitating business between Aboriginal people, communities, government departments and the private sector. 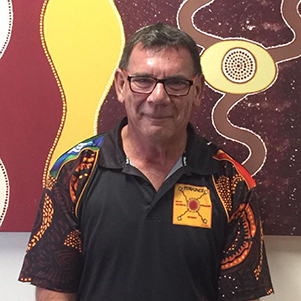 Mark has formally trained in (Aboriginal) Community Administration and Management, Community Services Work and Training, Education and Assessment .